The first time I realized I could go online and find the exact book I wanted, in hardcover, for nearly half of what the big bookstores were charging — well, I was flabbergasted. And enchanted. As a bibliophile of long standing, discovering Amazon.com was all I needed to turn my small personal book collection into a full-blown library. Today, that little online bookseller is a retail giant, with more than 65 million Amazon Prime members around the world and a quarterly revenue of around $60 billion. If more than a little of your annual income finds its way into Amazon’s coffers, then you’re doubtless on the hunt for a way to slim down that number — without slimming down your purchases. 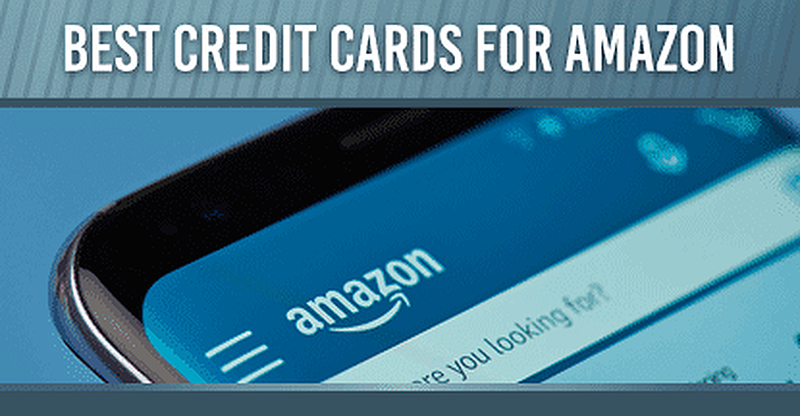 While only a handful of cards on the market offer Amazon purchase rewards, you do have a number of options to help you stay on top of your online shopping. While the cards co-branded by Amazon have the potential to offer year-round rewards, not everyone wants a store card, no matter if it has a Visa logo or not. If you’d rather have a mainstream rewards credit card from a big bank, but still want the opportunity to earn rewards on your Amazon purchases during peak spending seasons, you can try a card that offers rotating cash back rewards that change each quarter. 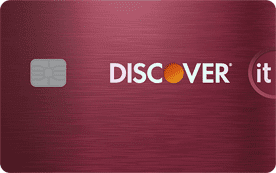 The Discover it® Cash Back card provides up to 5% cash back when you activate your bonus in rotating categories each quarter, on up to $1,500 in category purchases per quarter. While you won’t receive year-round Amazon purchase rewards, the Discover it® Cash Back has offered Amazon.com as a bonus category at least one quarter each year for the past several years, including offering it for the fourth quarter of 2018 — just in time for holiday shopping. As with the Discover it® Cash Back, the Chase Freedom® has quarterly rotating bonus categories that provide 5% cash back on up to $1,500 in category purchases each quarter you activate. Chase also tends to offer bonus rewards for Amazon.com regularly, though not as reliably as the Discover it® Cash Back. While the Vantage West Connect Rewards Visa Signature® Card is the only non-Amazon card that offers year-round 5% rewards on Amazon purchases, it does have a few limitations. For starters, it’s not a big-bank card; the Connect Rewards card is issued by Vantage West Credit Union, which means you’ll need to be eligible for membership to get the card. Plus, 5% rewards are capped at $1,500 in purchases each quarter. To join the Vantage West Credit Union, you need to meet one of three eligibility criteria. The first is to live, work, worship, volunteer, or attend school in the organization’s service area, which includes portions of southern Arizona. The second is to be a member of the military stationed in qualifying areas of southern Arizona. The third is to be affiliated with a qualifying group, which may include employers, organizations, churches, or schools. As with many retailers, if you want the best Amazon purchase rewards, you’ll likely need to turn to a credit card branded by, well, Amazon. The merchant offers two branded credit cards, an open-loop Visa Signature® card issued by Chase, and a closed-loop store card that can only be used for Amazon purchases. With both cards, cardholders who are also members of Amazon Prime will receive the best rewards. A Visa Signature® card issued by Chase Bank, the Amazon Rewards Visa Signature® Card — or the Amazon Prime Rewards Visa Signature Card, if you have a Prime Membership — can be used to shop anywhere, but provides the best rewards for Amazon.com and Whole Foods purchases. The points you earn with the Amazon Rewards card can be redeemed directly at checkout to pay for most Amazon.com purchases, you can redeem them for cash back, gift cards, or travel. In contrast to the Amazon Rewards Visa Signature® Card, the Amazon.com Store Card can only be used to make Amazon.com purchases, and only cardholders with Amazon Prime accounts will earn rewards on those purchases. All cardholders will receive special financing offers on qualifying purchases, however. If you plan to use the special financing option, be sure to pay off your purchase before the end of your financing terms. The Amazon.com Store Card utilizes deferred interest, which means if any of your balance remains after your terms expire, you’ll be charged interest fees for the entire purchase amount. With the power of discount prices and free shipping, Amazon the bookseller won over millions of devoted fans, eventually gaining a large enough audience to add a variety of other merchandise to its offerings. In just a few years, Amazon grew into an industry giant, providing millions of users with millions of items from which to choose. And the company is hardly stopping at owning the online shopping world. With its acquisition of the Whole Food grocery chain, the introduction of dozens of its own house brands, and the drive to put an Alexa device into every home, Amazon is making itself an integral part of how we shop for almost everything.